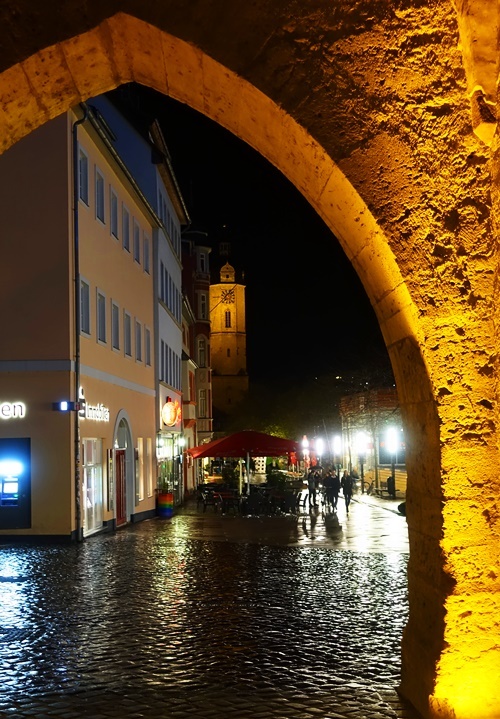 I am a bit jet-lagged tonight so will share a few pictures of Jena at night. 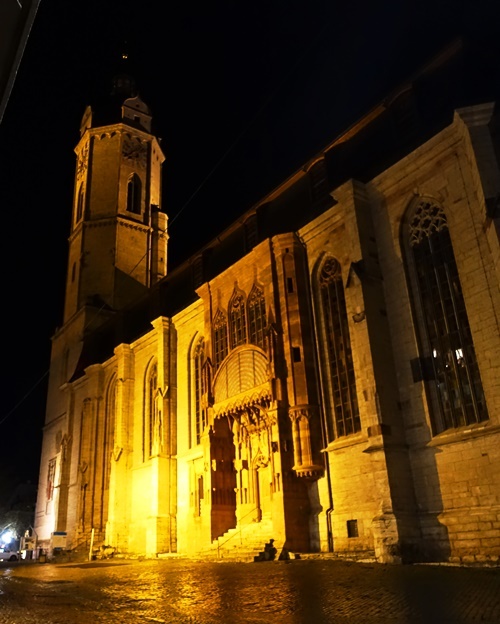 Here is die Stadtkirche St. Michael zu Jena, or the City Church St. Michael of Jena. The building is beautiful at night. This church building is home to Luther’s Original Grave Plate. Here is another view of St. Michael from the archway underneath the Johannes Tower. You can see from the walkway that it was a rainy night on Sunday when I took these pictures. To the left in this picture is the Johannes Tower and you can see a restored section of the old city wall of Jena. 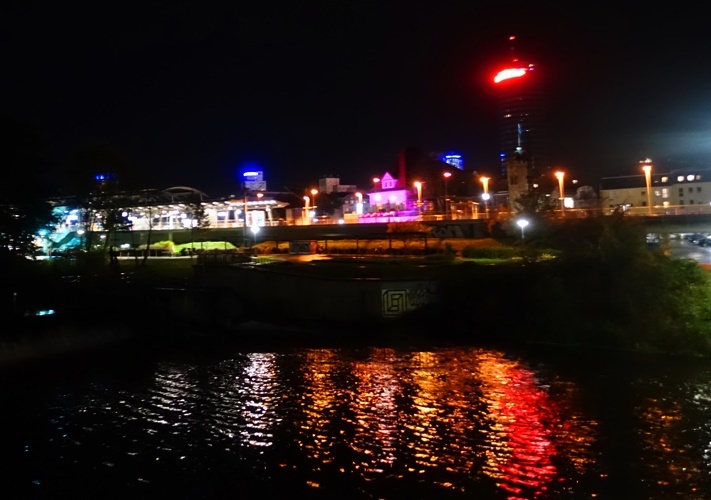 This is an interesting picture as it shows the skyline of Jena. The skyline is dominated by the JenTower. The tower has 34 floors and is 474 feet tall. It is the tallest tower in the former East Germany and at the time it was built was the tallest building in Germany. I also like the reflections in the Saale River. I also stopped by to take pictures of the Burgauer Brücke. 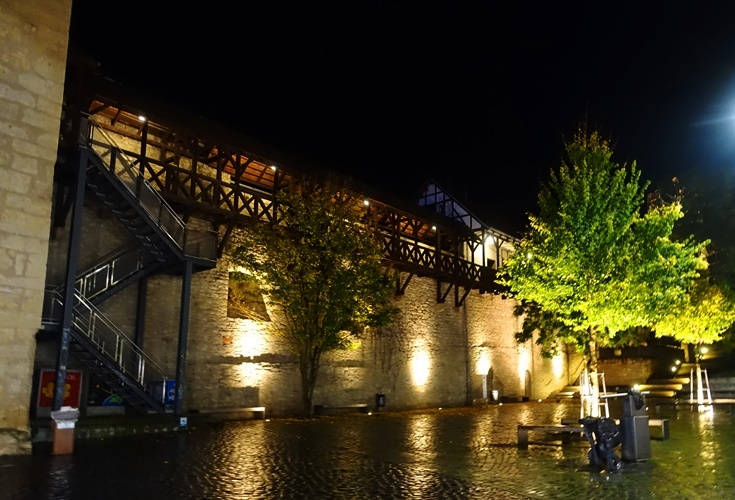 See my post Burgauer Brücke to learn about the history of this bridge and see a picture of it in the daytime. 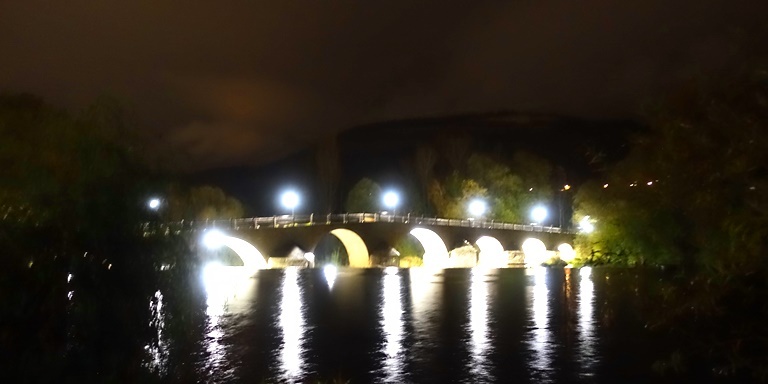 Also visit The Burgauer Brück at Night for some more night pictures of the bridge. This entry was posted in Bridges, Germany, Travel and tagged Burgau Bridge, Grave Plate, Jena, JenTower, Johannes Tower, Martin Luther, Rain, St. Michael. Bookmark the permalink.